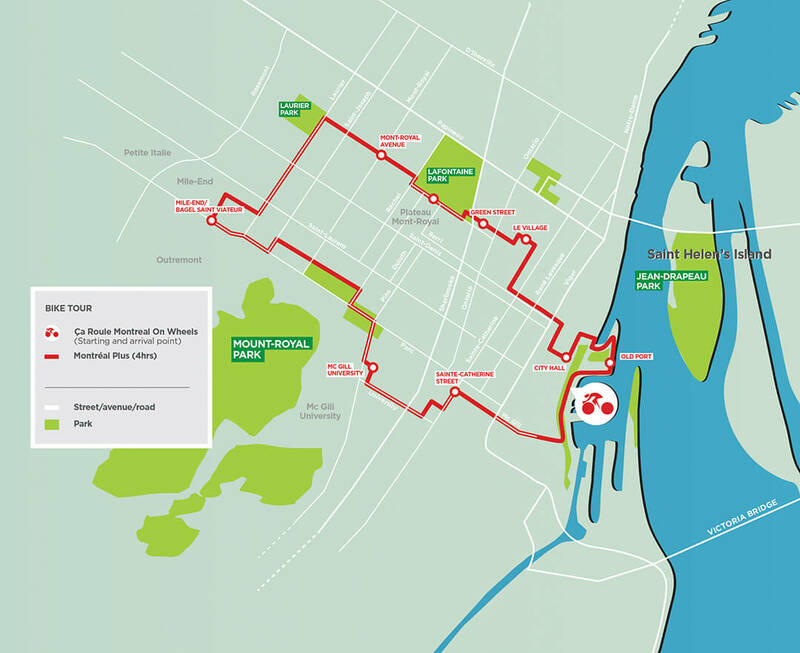 Discover Montreal’s essence and then some ! On the menu : history, architecture and neighbourhood life. NEW! Ebikes available for this tour ( +20$). 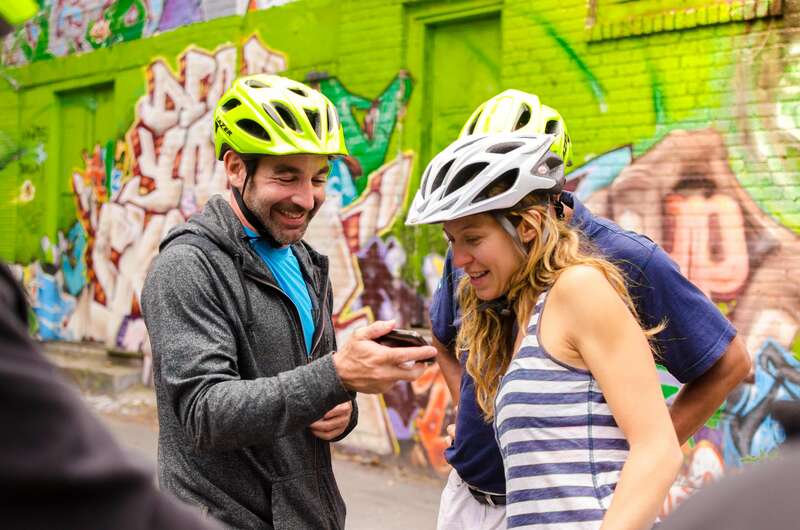 Leave on a journey to encounter Montreal’s well-known and lesser-known aspects as you ride through its different neighbourhoods, passed its unavoidable attractions and its more secret locations. Old-Port, Latin Quarter, La Fontaine Park, Plateau, Mont-Royal Park (entrance), McGill University campus, Business district, Old Montreal and Mile-End. A stop is planned at « Saint-Viateur Bagel » so that you can taste Montreal’s famous bagels! Established in 1957, this legendary bakery is an integral part of Montrealer’s life and culture. At the end of your tour, relax and enjoy a beer or glass of wine served at an Old Montreal resto-pub located just next to Montreal On Wheels. This tour lasts around 4 hours and requires a reservation. Departures at 9:30 am !